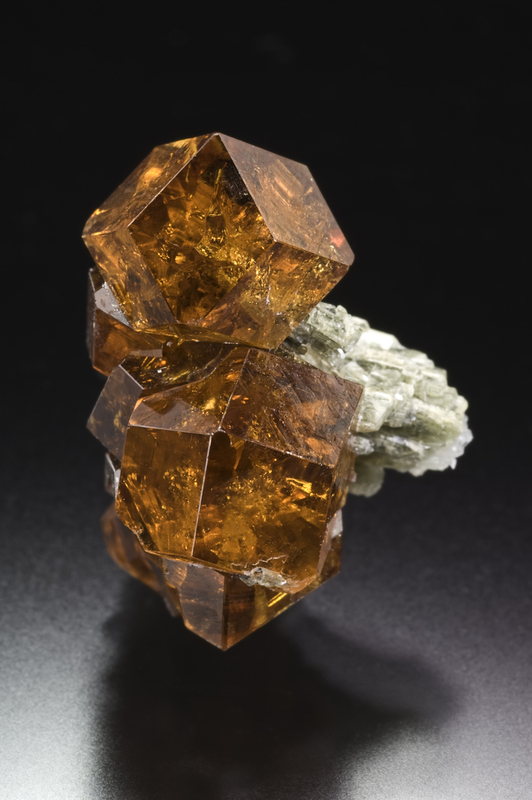 Hessonite: Mineral information, data and localities. From the Greek "hesson," for "inferior," in allusion to its lower hardness and density than most other garnet varieties. Visit gemdat.org for gemological information about Hessonite. Clinochlore 203 photos of Hessonite associated with Clinochlore on mindat.org. Diopside 182 photos of Hessonite associated with Diopside on mindat.org. Vesuvianite 70 photos of Hessonite associated with Vesuvianite on mindat.org. Quartz 21 photos of Hessonite associated with Quartz on mindat.org. Anorthite 20 photos of Hessonite associated with Anorthite on mindat.org. Epidote 14 photos of Hessonite associated with Epidote on mindat.org. Chlorite Group 13 photos of Hessonite associated with Chlorite Group on mindat.org. Clinozoisite 13 photos of Hessonite associated with Clinozoisite on mindat.org. Grossular 10 photos of Hessonite associated with Grossular on mindat.org. Titanite 10 photos of Hessonite associated with Titanite on mindat.org. The following Hessonite specimens are currently listed for sale on minfind.com. Noble, R. J., Just, J. and Johnson, J. E. (1983): Catalogue of South Australian Minerals. KIESEWETTER, Ludwig (2002g): Granat von Plank/Kamp, NÖ.- Mefos, 13/25, 9-10, Wien. Reiter, E. (1982): Beiträge zur oberösterreichischen Landesmineralogie, Teil 4: Die Mineralfunde aus dem Steinbruch in Oberhaag bei Aigen-Schlägl. Der Mineraliensammler, F. 3/1982, 15-20, Linz. - Franz Pröll, in: Minerale und Gesteine des oberen westlichen Mühlviertels. Diplomarbeit am Institut für Mineralogie und Petrographie, Universität Salzburg 1976, 21 Abbildungen, 74 Seiten. Schroetter, Ralph. The Bancroft & Area Mineral Collectors Guide. Xu Jiuhua, Zhang Rui, Lin Longhua, and Wei Hao (2008): Proceedings of the 13th International conference on thermobarogeochemistry and IVth APIFIS symposium, Vol. 2, 207-210. Li, D. X., Feng, C. Y., Zhao, Y. M., Li, Z. F., Liu, J. N., & Xiao, Y. (2011). Mineralization and alteration types and skarn mineralogy of Kaerqueka copper polymetallic deposit in Qinghai Province. Journal of Jilin University(Earth Science Edition), 41(6), 1818-1830. Kruťa, T. Slezské nerosty a jejich literatura ; Kruťa, T.: Nerostný výzkum ve Slezsku v roce 1954. Přírodovědecký sborník Ostravského kraje, 1955, roč. 16, č. 1, s. 125-138. Kruťa, T.: O nerostech ze Žulové (Frýdberka) ve Slezsku. Časopis Slezského musea, series A: vědy přírodní, 1951, roč. 1, č. 1. s. 33 - 57. Zikeš J., Welser P.: Zrudněná křemenná žíla z Nihošovic. Minerál, 2011, 19, 1, 16-22. Pandullo, A. (1975) Località mineralogiche consigliate. Bellecombe (Châtillon, Aosta). Notizie del Gruppo Mineralogico Lombardo, 6, 1 (marzo 1975), 10-12; Piccoli, G.C., Maletto, G., Bosio, P., Lombardo, B. (2007) Minerali del Piemonte e della Valle d'Aosta. Associazione Amici del Museo "F. Eusebio" di Alba, L'Artigiana Srl - Azienda Grafica, Alba (Cuneo), 607 pp. Repossi, E. (1918): I minerali della Valle della Gava nel "Gruppo di Voltri". Una nuova varietà di talco. Atti della Società Italiana di Scienze Naturali e del Museo Civico di Storia Naturale in Milano, 57, 131-155; De Michele V. (1974): Guida mineralogica d'Italia. Istituto Geografico De Agostini, Novara, 2 vol., 408 pp. Antofilli, M., Borgo, E., Palenzona, A. (1985): I nostri minerali. Geologia e mineralogia in Liguria. II Edizione. SAGEP Editrice, Genova, 296 pp. Vik Vanrusselt Collection; Alpinisti M. (1981): Minerali della Val di Viù: l'epidoto del lago Falin. Bollettino della Sezione di Pianezza del Club Alpino italiano, 5, 24 (ottobre-dicembre 1981), 12-13. Girolami, C. (2006). I minerali delle Valli di Lanzo. Stampato in proprio. La Val di Susa e i suoi minerali – Antonello Barresi – Gruppo Mineralogico e Paleontologico C.A.I. UGET. Mathavan, V., Kalubandara, S. T., & Fernando, G. W. A. R. (2000). Occurrences of two new types of gem deposits in Okkampitiya gem field in Sri Lanka. Monistier, G. (2009) Lapis, 34, #3, 20-21. Stalder, H. A., Wagner, A., Graeser, S. and Stuker, P. (1998): "Mineralienlexikon der Schweiz", Wepf (Basel), p. 201.; Trommsdorf, V. (1968); Mineralreaktionen mit Wollastonit und Vesuvian in einem Kalksilikatfels der alpinen Disthenzone (Claro, Tessin), Schweizerische Mineralogische und Petrographische Mitteilungen: 48: 655-666. Stalder, H. A., Wagner, A., Graeser, S. and Stuker, P. (1998): Mineralienlexikon der Schweiz. Wepf (Basel), p. 136-137. Stalder, H. A., Wagner, A., Graeser, S. and Stuker, P. (1998): Mineralienlexikon der Schweiz. Wepf (Basel), p. 137. Anthony, J.W., et al (1995), Mineralogy of Arizona, 3rd.ed. : 239. Blake, Wm. P. (1855), Observations on the extent of the gold region of California and Oregon, with notices of mineral localities in California and of some remarkable specimens of crystalline gold: American Journal of Science, 2nd. Series: 20: 82; Blake, Wm. P. (1856), Reports of explorations and surveys to ascertain the most practical and economical route for a railroad from the Mississippi River to the Pacific Ocean: 33rd. Congress, 2nd. Session, House Doc. 91: Vol. 5, part 2, geological report: 289; Murdoch, Joseph & Robert W. Webb (1966), Minerals of California, Centennial Volume (1866-1966): California Division Mines & Geology Bulletin 189: 251. Kunz, George Frederick (1904), Precious stones: Mineral Resources U.S., 1903: 925; Murdoch, Joseph & Robert W. Webb (1966), Minerals of California, Centennial Volume (1866-1966): California Division Mines & Geology Bulletin 189: 194.
ⓘ Granitic pegmatite occurrence (group II; younger pegmatites) ? Webb, R.W. (1942), Two Andalusite Pegmatites from Riverside County, California. 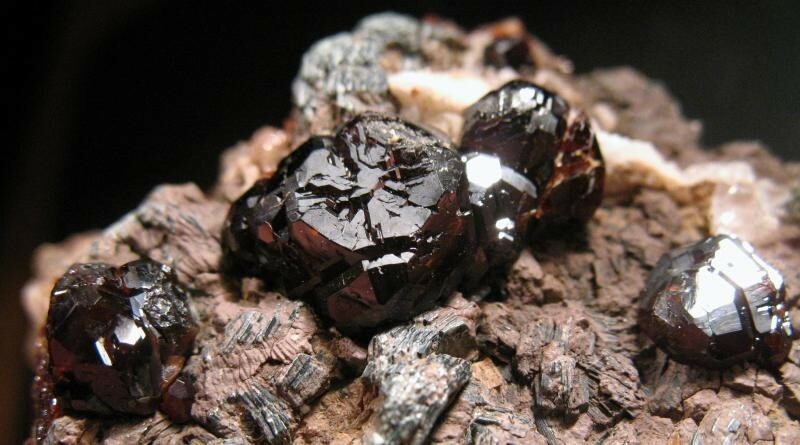 The American Mineralogist: 28(11-12): 581-593. Merrill, Frederick James Hamilton (1916), San Diego, Imperial Counties: Calif. Min Bureau Report 14: 635-743; […(abstract): Geol. Zentralbl., Band 27: 395 (1922)]: 765; Murdoch, Joseph & Robert W. Webb (1966), Minerals of California, Centennial Volume (1866-1966): California Division Mines & Geology Bulletin 189: 195. Hilton, J. W. (1939): Mine that has everything, except gem stones. In: The Desert Magazine, Volume 3, November 1939, p. 28. Kunz, George Frederick (1905a), Gems, jewelers’ materials, and ornamental stones of California: California Division Mines Bulletin 37, 171 pp. : 52; Murdoch, Joseph & Robert W. Webb (1966), Minerals of California, Centennial Volume (1866-1966): California Division Mines & Geology Bulletin 189: 195. 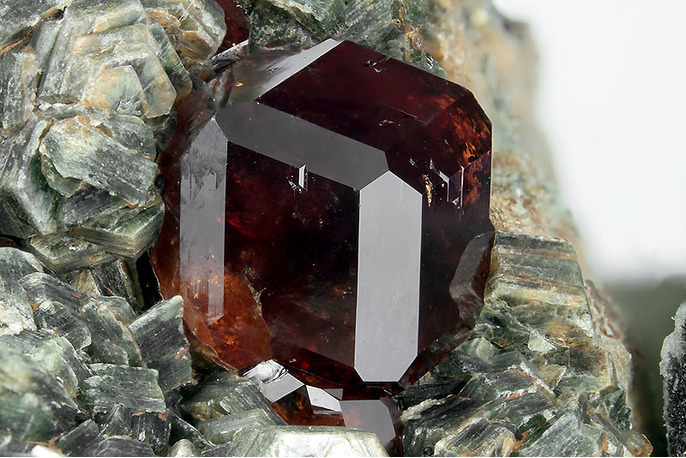 Snyder, Doris (1962), Epidote and garnet in San Diego County: Gems & Minerals, No. 292: 22-23, Jan., 1962; Murdoch, Joseph & Robert W. Webb (1966), Minerals of California, Centennial Volume (1866-1966): California Division Mines & Geology Bulletin 189: 195. Carnahan, V. 1960. The Treasure of the Himalaya Mine. Gems & Minerals magazine, November, pages 21-25, 55-57. Kunz, George Frederick (1905a), Gems, jewelers’ materials, and ornamental stones of California: California Division Mines Bulletin 37, 171 pp. : 128; Murdoch, Joseph & Webb, Robert W. (1966), Minerals of California, Centennial Volume (1866-1966): California Division Mines & Geology Bulletin 189: 195. CALIF. DIV. MINES AND GEOL. COUNTY REPORT 3, 1963, NO. 113, P. 107.
ⓘ Lookout Mine (Hercules group; Lookout prospect; Upper Hercules mine) ? Kunz, George Frederick (1905a), Gems, jewelers’ materials, and ornamental stones of California: California State Mining Bureau Bulletin 37, 171 pp. : 52; 150. Kunz, George Frederick (1897), Precious stones: Mineral Resources U.S., 1896: 1204; Murdoch, Joseph & Robert W. Webb (1966), Minerals of California, Centennial Volume (1866-1966): California Division Mines & Geology Bulletin 189: 196.
ⓘ Woodstock Garnet locality ? Kunz, 1898. Gems & Precious Stones of N. America.